DEARBORN, Mich. — Ford Motor Co. announced today that Alan Mulally will retire from the company July 1. Mark Fields will be named Ford president and chief executive officer and will be elected to the company’s board of directors. Mulally, 68, is retiring after nearly eight years leading Ford, capping a remarkable 45-year career. Under Mulally and the company’s One Ford plan for profitable growth, Ford achieved 19 consecutive quarters of profitability, developed the strongest product lineup in Ford’s history and embarked upon the company’s most ambitious global expansion in the past half century, officials said. The transition in July is approximately six months earlier than previously anticipated. Mullaly, officials said, recommended that the timetable for the transition be moved up. “Alan and I feel strongly that Mark and the entire leadership team are absolutely ready to lead Ford forward, and now is the time to begin the transition,” said Ford, who recruited Mulally from Boeing in 2006. Fields, 53, was named Ford’s COO in December 2012. 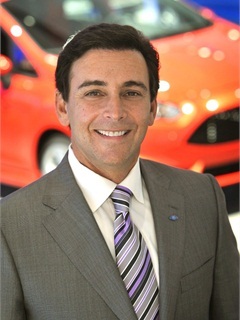 He has been leading all of Ford’s global business operations and most skill teams, including product development, manufacturing, purchasing, and marketing, sales and service. Before he was named COO, Fields served as executive vice president and president of The Americas since October 2005. In that role, he led the transformation of Ford’s North American business, turning it from record losses several years ago to record profits in each of the last four years. Earlier, Fields guided the product-led transformation of Ford’s European operations and formerly held European luxury brands, as well as the relaunch of Ford’s independent operations in Argentina and a major restructuring and product renaissance at Mazda. Mulally thanked the Ford team for their many contributions and accomplishments. “It has been an honor to serve and contribute to creating a viable, profitably growing company for the good of everyone associated with the Ford Motor Co.,” Mulally said. “By working together with all of our stakeholders around the world, we now are accelerating Henry Ford’s original vision to open the highways to all mankind.